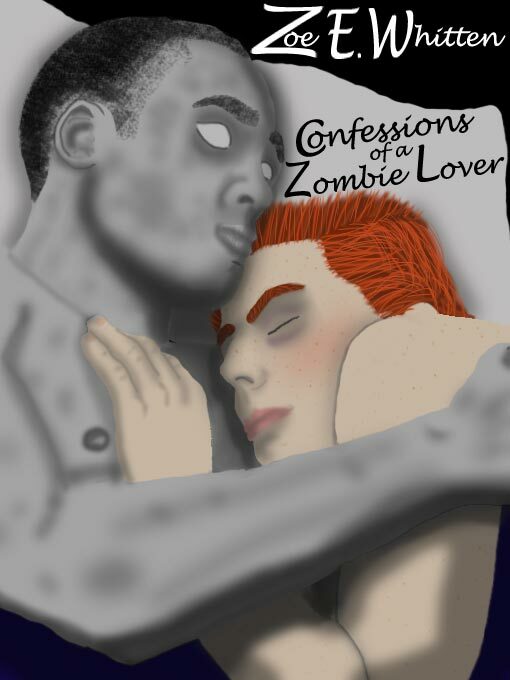 Zoe E. Whitten, Confessions of a Zombie Lover. Aphotic Thought Press, 2011. 27,000 words. ASIN B004SIR300. $1.99. Ms. Whitten’s second “Zombie Era” novella finds Eugene “G” O’Donnell two years out from his experiences in the first story, Zombie Punter, where he learns that the zombie apocalypse he and his friend Jake have been planning for isn’t exactly what he expected. The truth is, the walking dead’s minds may be down, but they’re not out. “G” has roamed the countryside looking for his best friend and “adopted daughter”—a zombie girl he’s helped—for those two years, ending up in a military installation where he once again begins his work trying to solve the problem of the epidemic. G has found a way to “heal” the infected zombies, training them off raw flesh and bringing their minds up out of the stupor of undeath. Like many of the new zombie stories being written, Ms. Whitten’s focus is on the subject of human rights and the idea of creating a second class citizenry out of people who find themselves in a lifestyle they did not necessarily choose. Gay rights is a prevalent issue, with G being a homosexual and working in conjunction with the military. It is a situation full of tension, sometimes only imagined tension, which is nice. G has become, over the years, somewhat defensive about his sexual tendencies and it’s interesting when he sees a problem where none exists. It’s also fairly interesting to see the “Don’t ask, don’t tell” policy discussed as we may be finally seeing it thrown out for real. The message is at times a tad heavy-handed, but it’s one that bears stressing and Ms. Whitten’s personal feelings about it certainly come to the fore. G himself knows what it is to deal with a world that sees you as something less than human and worries that he may be dooming the “healed” to a lifetime of actually being so. He also knows that without his work, humanity may very well have no hope of survival. In a world where any death that occurs brings a mindless killer into our midst, something must be done. Even in areas where people feel safe, all it takes is one elderly grandmother dying in her sleep to set off a chain reaction of death that could burn out of control if left unchecked. Not having read Zombie Punter, I’m not entirely sure of the origins of Ms. Whitten’s zombification virus. I do know it was purposely engineered and let loose by terrorists of some sort, but truthfully I don’t know who or why. What I do know is that everyone is infected. Every man, woman, and child. You do not have to be bitten; there is no escape. When you die, by whatever means, you turn. One supposes this would bring about a certain culture of death, though Ms. Whitten does not detail it very much. Death-watches over elderly relatives or “safety” killings in which someone who is about to die is killed with some sort of cranial trauma would presumably become common even in non-military communities. One can imagine these sorts of events taking on sacred tones and entering the zeitgeist in much the same way as a funeral. Of course, the whole point to “healing” the undead is not only to gentle them, but to use them to help control others of their kind that have yet to be healed. They have certain abilities of command over lesser undead and this is the rub of the story’s message. Will they be relegated to being not much more than appliances? Convenient tools to stock every house with so that if grandma does die, there’s an early warning and prevention system in place to wrangle her old bones before she messily devours the family dog. I’m sad to say I’m not as familiar with Whitten’s other works, but the story moves well, taking little time to get where it needs to be quickly and, best of all, succinctly. Coming in at just around 50,000 words, she uses them all wisely, wasting none on anything unnecessary and referring back to the first story just enough to keep a reader who has missed it informed of character motivations and instilling a desire to play catch-up on this world. As we find less and less reason to reduce whole sections of our population to that status of second class citizens, we seem to need to find more and more reason to not do so in the first place. There are always explanations that seem, to the general populace, to make sense at the time. This has held true in every civil rights movement ever born, and Ms. Whitten’s zombies are little different. Their danger can be offset, their ferocity mitigated. If their threat can be reduced, isn’t that better than outright slaughter? Do we have the right to reduce them to utensils if their brains can function on a higher level even if it is the means by which we may secure the safety of the human race? Difficult questions, difficult answers. The story attempts to answer these questions, though I admit to having issues with the method by which G meets his particular fate. For me, it felt as though it undermined the story’s overall message. I do concede it nicely sets up another story set in the same world, which is something to look forward to, but in a story trying so hard to take a positive stance on gay rights and frown upon the concept of second class citizenry, one has to wonder if G’s fate was the best choice. It was certainly interesting from a storytelling standpoint, but from the viewpoint of the sociopolitical stance the story tries to take, I’m not sure it was the best way to go. Nevertheless, that’s merely my opinion. There’s no doubting the skill and crafting that went into the story itself. One supposes a new installment in the series could help shed light on whether the ending was worth the setback to the message or not. I look forward to it either way.